The room was huge with a king size bed, loft bed and sofa bed, that can comfortably sleep 5 pax. The hotel provided enough linens and pillow. Room was clean enough (since my dust allergy was not triggered), although it has seen better days and would soon need renovation. There is a bath tub, but I find it quite high for the average Asian. You would need to use steps to climb in and out the tub, which could be slippery when wet. You have to be extra cautious, especially of the kids to avoid accidents. There is also no bidet, which saddened by husband. Bidet sprayer happens to be one of his hotel requirements. Our room opens up to balcony, with a pool view and a glimpse of the USS park at the back ground. Would like to try other hotels in Sentosa next time. I have heard about Movenpick, which is cleaner and newer than Festive. Would consider staying here again, but only if on promotion. Entry via taxi is free for hotel guests, just show a proof of your hotel confirmation (SMS or print out). Ask for the special children toiletries pack upon booking. Request for Sentosa Espress Pass tickets. This would give you free access to the Sentosa Express to and from Harbourfront Station. Standard Hotel Check-in at Festive Hotel is 3pm, but you may leave you luggage at the hotel concierge before exploring Sentosa Island. Festive has a pool, but the Hard Rock Pool is much nicer. Hotel guests may use the Hard Rock Pool, just by showing their Hotel Key card. For convenience, you may opt for the hotel limousine for transfers outside Resorts World. As the taxi bay, was located near the Forum Mall (5-10minutes walk from Festive, through Festive Walk), we decided on a limousine transfer to the airport which cost us about SGD55 (regular taxi, on a non-peak hour from Resorts World would cost approximately SGD22-25). The limousine transfer was more expensive obviously, but so convenient, considering regular taxi going outside Resorts World is difficult to get especially during rush hour. With 4 pieces of full luggage, excluding backpacks and 2 EXTREMELY (we've been walking across Singapore for 8 days straight now) kids in tow ~ a hotel limousine was a welcome luxury. Everything in SG is expensive, hehehe! 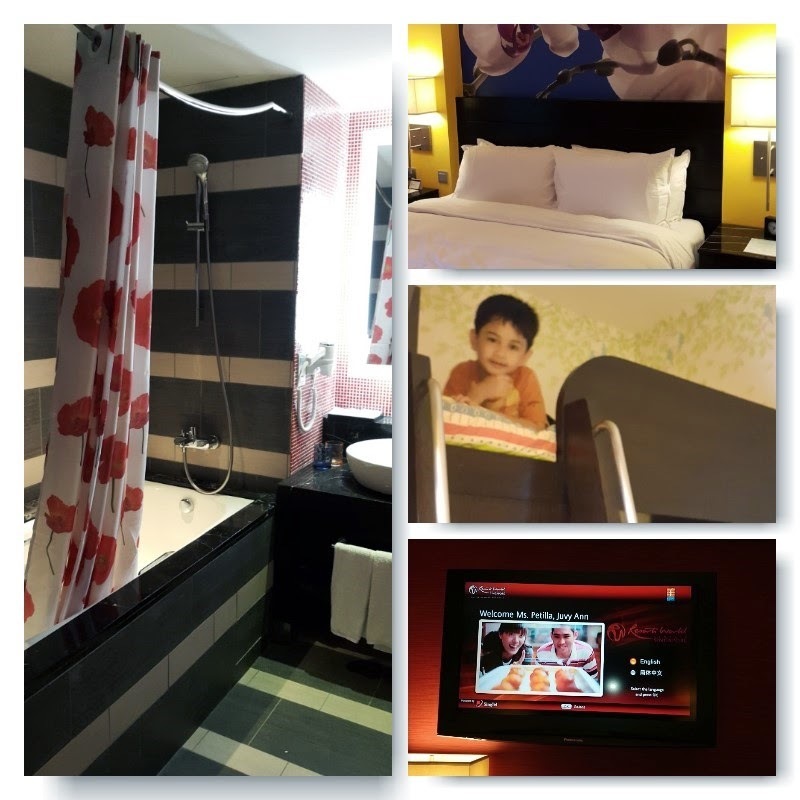 I chose 3 Star Hotel when we went there but if you will compare the price, pang promo na ng 5 star hotel dito sa Pinas. But I've read a lot of good reviews about this hotel. Yes, capital EXPENSIVE! I would often myself converting to Philippine Pesos. Thanks for this review! Last time we were in Singapore we stayed in a cruise ship, this review will come in handy for our future Singapore trip. Would love to experience travel by cruise ship too, hoping for an Asia cruise in the future - but not necessarily via Singapore. We are planning through Thailand, Malaysia, Vietnam and Indonesia. Do you have a write up of your cruise stay. I hope you can share, would love to check it out. Nice! I miss Singapore! I hope we can come back soon! Singapore is a nice country. Clean with efficient public services and transport system. I hope the Philippines could be like that someday. We had a great time, it was our busiest 8 days ever. Tiring but I was glad we were able to cover attractions as much as we can! Trip advisor usually aggregates hotel promotions. I also check offers from my existing credit cards. Thanks for sharing! I haven't been to Singapore but I'll take note of your tips and recommendations. Happy new year! Happy New Year too! I hope you find this helpful. Great reviews and tips, I wish we could travel as a family din na kaming tatlo lang hihi. Wow,very helpful and detailed. Any other trips you've shared? Hi Louisa! 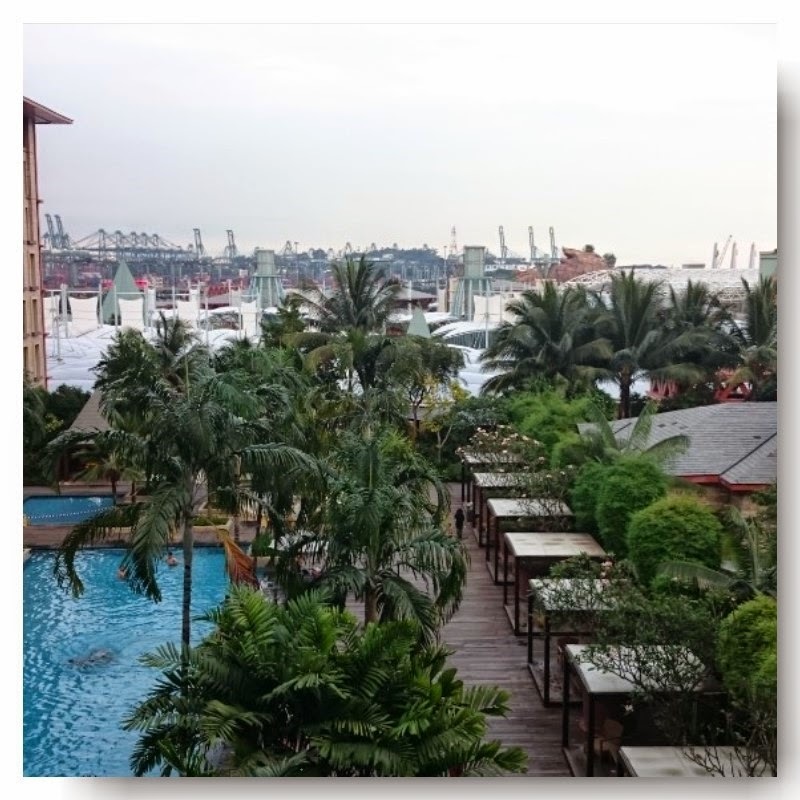 I have updated the Festive Hotel post to include our entire Singapore-Malaysia itinerary! I haven't visited SG but will soon do with my family. The view from the balcony is beautiful!